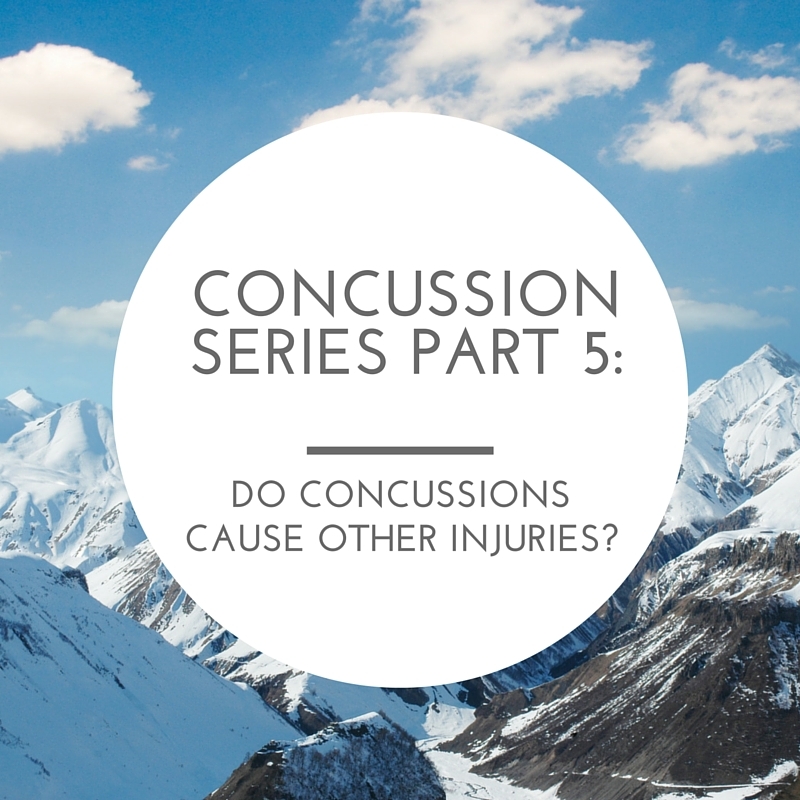 Blog Concussion Series Part 5: Do Concussions Cause Other Injuries? I’ve been working with concussion patients for a few years now… I’ve also presented on the topic of concussions in female athletes twice nationally. When I was prepping my first talk, I came across this article. College athletes who suffered a non-contact ACL injury scored lower than their non-injured teammates on a test of verbal memory, processing speed, and reaction time. This fascinated me, because memory, reaction time, and processing speed are common symptoms after a concussion. In fact, after a serious brain injury, some athletes never quite recover their reaction time and they have lingering memory issues. Then, I saw this article. Retired NFL players with one concussion had an 18-63% higher odds of suffering another injury. The odds increased as the number of concussions (2, 3, or more) increased – up to 165% greater chance. Granted, this study didn’t specify if the concussions happened before the other injuries, but it’s another paper asking the same question I did. So, at my presentation, I had to ask the question “does a concussion place an athlete at risk for future injury?” I work with a ton of soccer players, and (unfortunately!) ACL injuries and concussions are the top two injuries I see. My question generated a lot of discussion, and a few weeks after the talk I received an email with this article from a colleague. College athletes were 1.97 times more likely to suffer a leg injury in the first year after concussion as compared to the year before it. The athletes with a concussion were also 1.64 times more likely to have a leg injury as compared to non-concussed athletes. In my years working with all different types of athletes, I’ve seen ACL injuries with no concussion history and vice versa. But when I have an athlete coming to me to rehab their concussion symptoms, I feel compelled to educate these patients on the importance of ACL injury risk reduction training.